Pablo Casado has been elected the new leader of the People’s Party (PP). The politician, up until now the vice secretary of communication for the party, won over his competitor Soraya Sáenz de Santamaría – former vice president of Spain – by a narrow margin of around 300 votes, according to party sources. 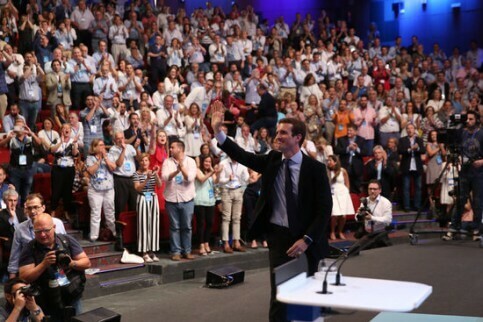 Ahead of him, Casado now faces the challenge of healing wounds opened by a hardball campaign with little space for debate, and will now be able to choose an executive, which will work towards recovering votes lost to the largest unionist party, Ciutadans (Cs) in the next 2019 elections.